A man listens to Rev. Jesse Jackson speak at New Bethel Baptist Church, the church where Aretha Franklin's late father Rev. C.L. 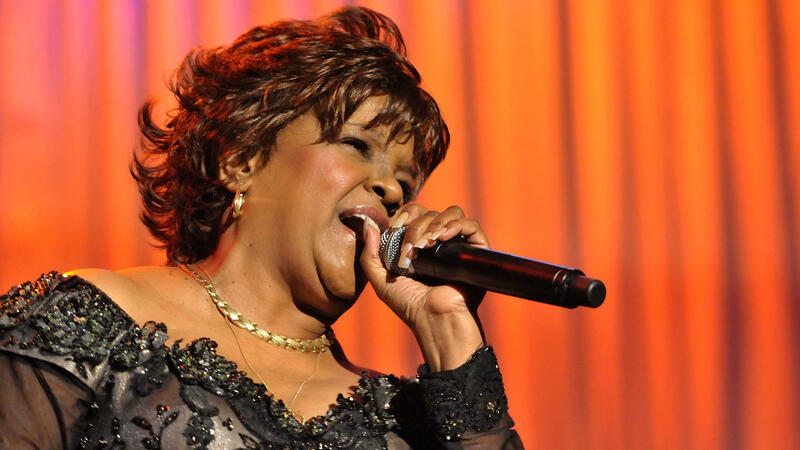 Franklin was a minister and where she began her singing career. 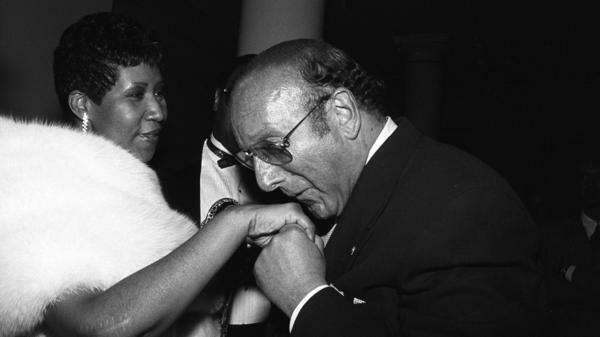 Aretha Franklin and Clive Davis, at a party in July 1989 in New York. 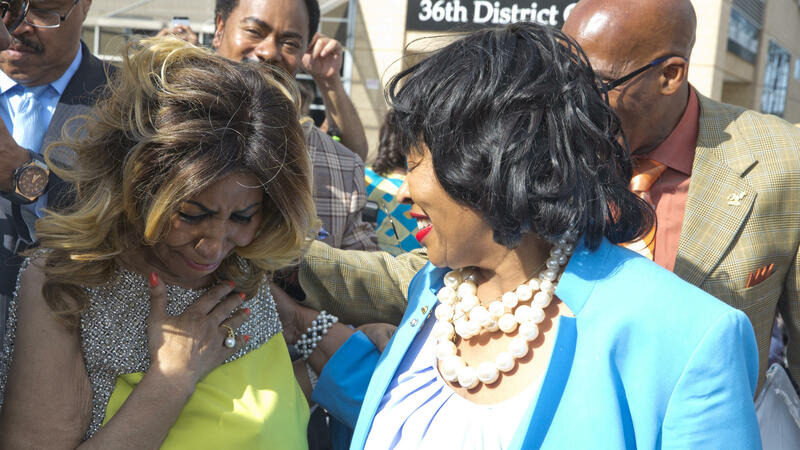 Aretha Franklin, left, becomes emotional during her street naming on June 8, 2017 in Detroit, Michigan, alongside Detroit City Councilwoman Brenda Jones. 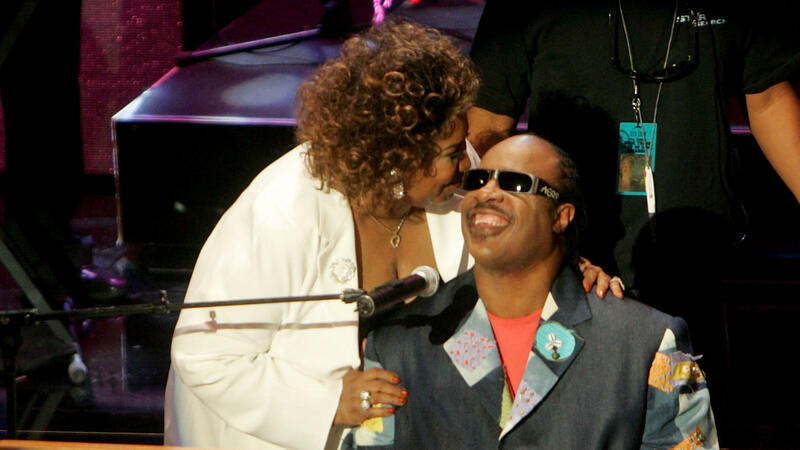 Aretha Franklin and Stevie Wonder onstage at the 10th Annual Soul Train Lady of Soul Awards, held at the Pasadena Civic Auditorium on September 7, 2005. 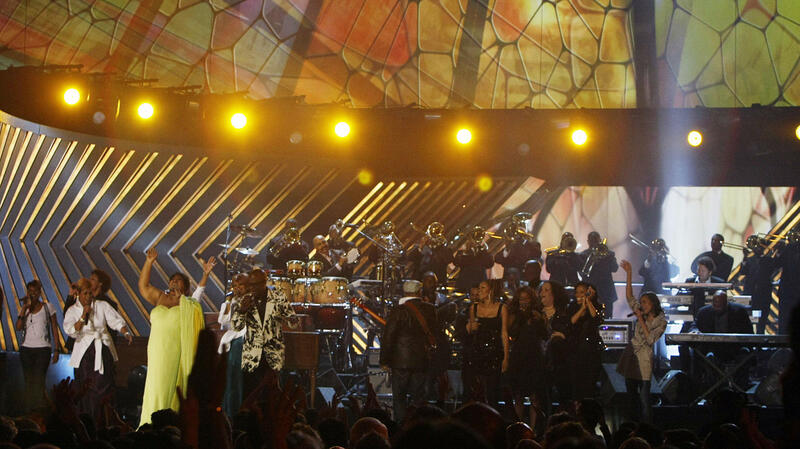 Reverend Shirley Ceasar performs during the 2008 MusiCares Person of the Year concert honoring Aretha Franklin. Aretha Franklin, left in yellow, on stage with The Clark Sisters at the 50th Grammy Awards in Los Angeles on February 10, 2008. Update: This live stream has ended. 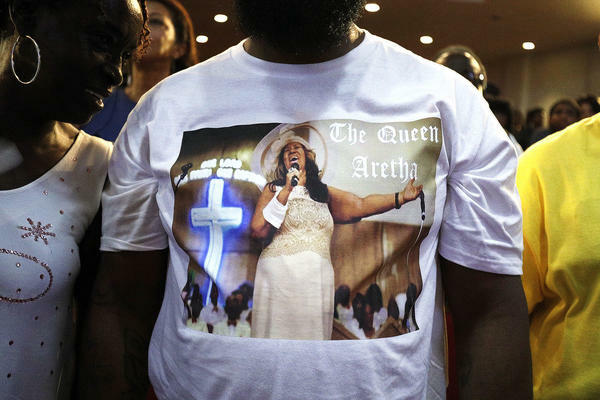 Since Aretha Franklin's death on Aug. 16, the world has memorialized the soul icon in fitting fashion — as a Queen. Her voice "captured the experience of living through profound change and showed how to preserve integrity in its wake," as Ann Powers wrote, an example that can feel desperately absent in these times of turmoil, but one that remains just a memory away. Franklin is on the cusp of being honored as American royalty. At 10 a.m. ET on Friday, Aug. 31 in Detroit, more than two dozen people — including heads of state, city and country, a record mogul, and music legends of nearly every description — will take the altar of the Greater Grace Temple at her homegoing to speak, sing and pray in honor of the gift that Franklin so readily shared with the world. Here's a list of every announced speaker or performer at Franklin's homegoing, with some useful background on their history with Aretha or her work.